Clean Up City of St. Augustine, Florida: Is President DONALD TRUMP bonkers? Yes. Latest evidence -- TRUMP thugs threatening Office of Government Ethics, demanding withdrawal of request for recusal agreements with ex-lobbyists. This "fake" administration and "so-called" president stink on ice. 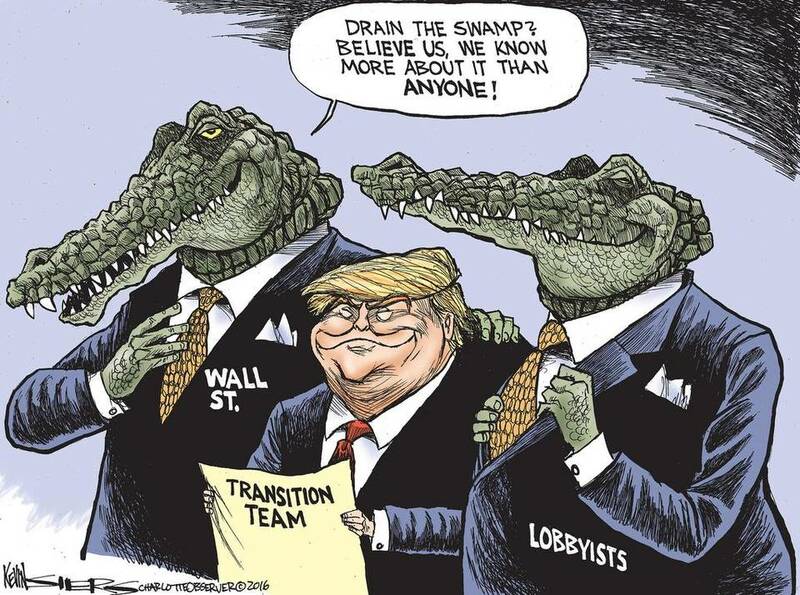 Someone needs to call the White House and ask, "How many lobbyists do y'all have runnin' round over there?" The Trump administration, in a significant escalation of its clash with the government’s top ethics watchdog, has moved to block an effort to disclose any ethics waivers granted to former lobbyists who now work in the White House or federal agencies. In a statement issued Sunday evening, the Office of Management and Budget rejected the criticism and instead blamed Mr. Shaub, saying his call for the information, issued in late April, was motivated by politics. The office said it remained committed to upholding ethical standards in the federal government. 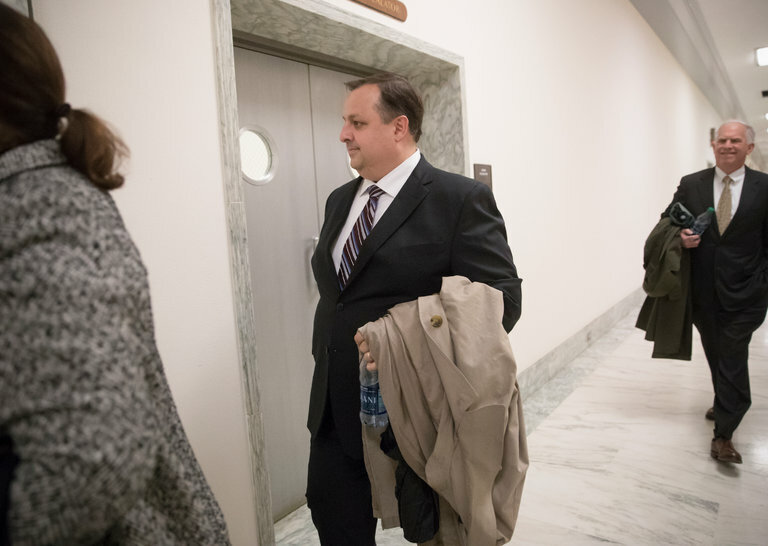 Ms. Glynn, who worked in the office of government ethics for nearly two decades, said she had never heard of a move by any previous White House to block a request like Mr. Shaub’s. She recalled how the Bush White House had intervened with a federal agency during her tenure to get information that she needed. Mr. Shaub, in an effort to find out just how widespread such waivers have become, asked every federal agency and the White House to give him a copy by June 1 of every waiver it had issued. He intends to make the documents public. Federal law gives the Office of Government Ethics, which was created in the aftermath of the Watergate scandal, clear legal authority to issue such a “data request” to the ethics officers at federal agencies. This is the main power the office has to oversee compliance with federal ethics standards. It is less clear whether it has the power to demand such information from the White House. Historically, there has been some debate over whether the White House is a “federal agency” or, as it calls itself, the “executive office of the president.” Such an office might not be subject to oversight. The White House, however, tried on Wednesday to stop the process across the entire federal government, even before most agencies had responded to Mr. Shaub’s April 28 request. The letter, which was obtained by The New York Times after a Freedom of Information request, created confusion among federal agency heads about whether they should honor the request from the ethics office. Norman Eisen, the top White House ethics lawyer in the first years of the Obama administration, said he believed that the Trump administration was trying to intimidate federal ethics officers, who are career appointees, without actually ordering them to ignore the directive from the ethics chief. “It is yet another demonstration of disrespect for the rule of law and for ethics and transparency coming from the White House,” Mr. Eisen said. Mr. Shaub, in a conference call with federal government ethics officers on Thursday, told them that he had the clear authority to make such a request and that they were still obligated under federal law to provide the requested information, according to a federal official who participated in the call. The Office of Government Ethics, however, does not have the power to take enforcement action directly against the agencies if they do not respond. Traditionally, if it has trouble getting the information it needs, it turns to the White House to get compliance, Ms. Glynn said. “The agency is more or less dependent on the good graces of the party that is in power,” she said. Tensions between Mr. Trump and Mr. Shaub first started to grow in late November, when the Office of Government Ethics sent out an unusual series of Twitter messages urging Mr. Trump to limit potential conflicts of interest by selling off his real estate assets. Mr. Shaub then gave a speech in January, after Mr. Trump announced that he would not take such a step, which was highly critical of the incoming president, provoking speculation that Mr. Shaub might be fired before his term ended.